Bandimere Speedway. The name invokes images of fast, finely-tuned motorized engines careening around corners. 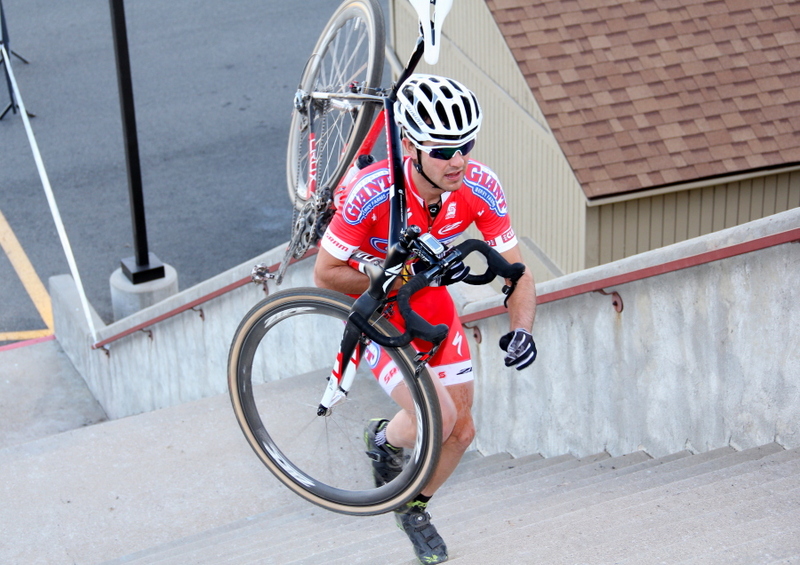 On Sunday the Morrison, Colorado speedway showcased human engines driving two-wheeled machines at the first 2012 Quarter Mile Cross event, and in particular, the engine named Yannick Eckmann of the California Giant Berry Farms/Specialized cyclocross team. In the men’s open race Eckmann quickly opened a gap on the multi-level course characterized by long paved segments and trails lined with slippery, chalky dust. 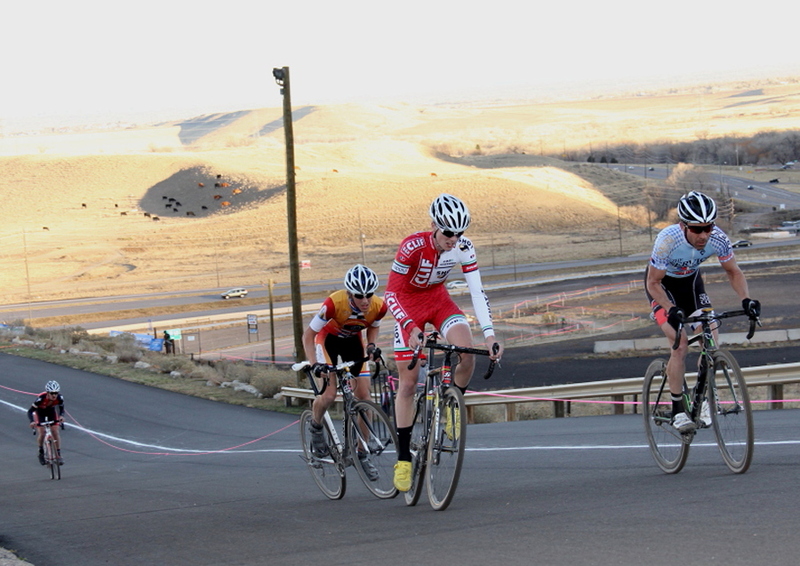 His lead never threatened, Eckmann won after riding alone for nearly the entire race. Colby Pearce (Panache Cyclewear), who won the single speed race which ended just before the open race began, earned second place after battling three junior riders. The three juniors — Zane Godby (Clif Bar Cyclocross Devo Team), Gage Hecht (International Christian Cycling Club), and Garrett Gerchar of Boulder Junior Cycling, took third, fourth, and fifth places respectively ahead of the remaining eight competitors.